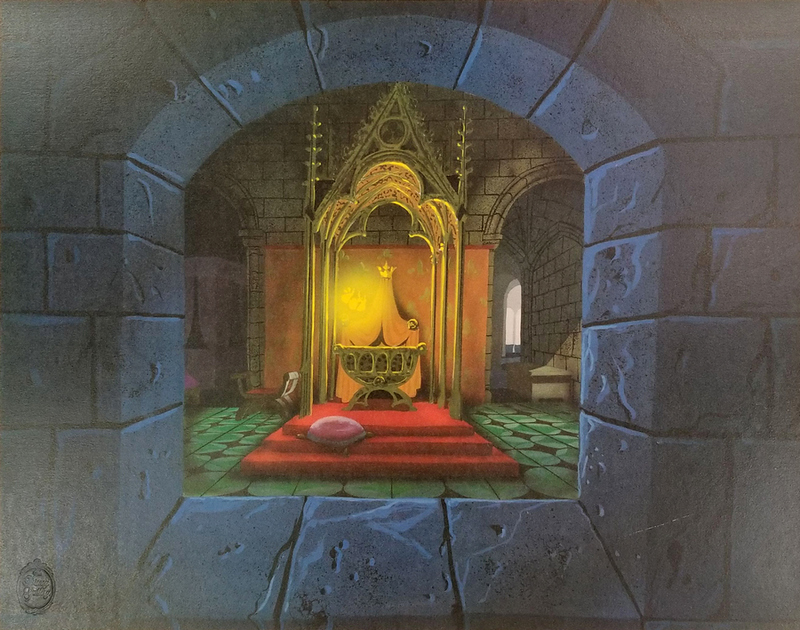 This is a limited edition lithograph on paper of the Sleeping Beauty Castle Walkthrough concept created by Eyvind Earle. 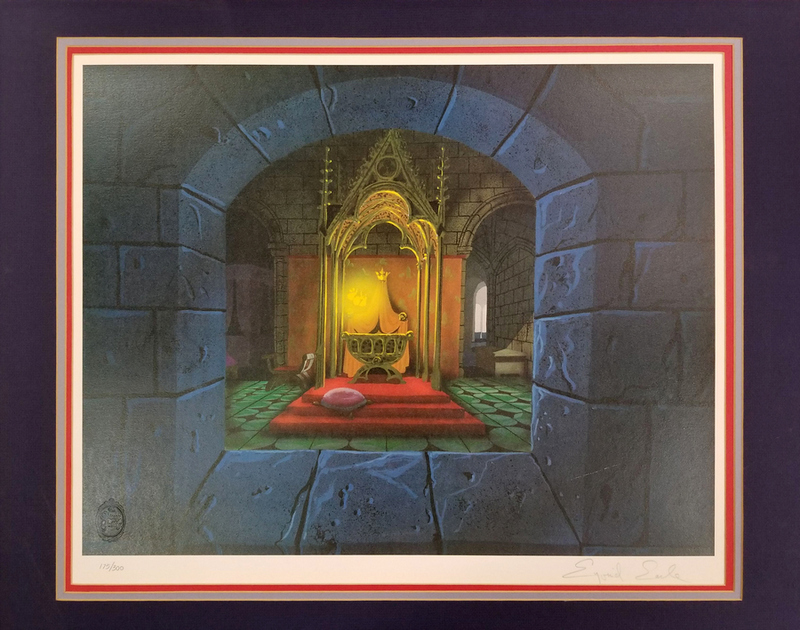 This print was released by the Disney Gallery in a strict edition of only 300 pieces. This piece is hand numbered 175/300 in the lower left and is hand signed by Eyvind Earle in the lower right corner. This piece is matted and measures 22" x 28" overall with the image itself measuring about 17" x 22". The print is in good condition with a scratch in the lower right of the image.